Picture waking to the sight of crystalline icebergs, charming rustic fishing boats and a family of whales showcasing their impressive tails – all right outside of your massive panorama window. 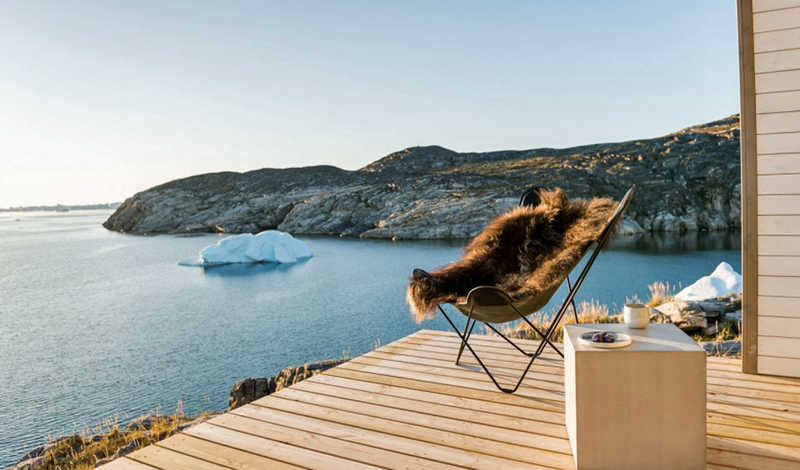 If you’ve never taken an interest in Greenland, we’re here to show you how this daydream can become your reality – all thanks to Ilimanaq Lodge. 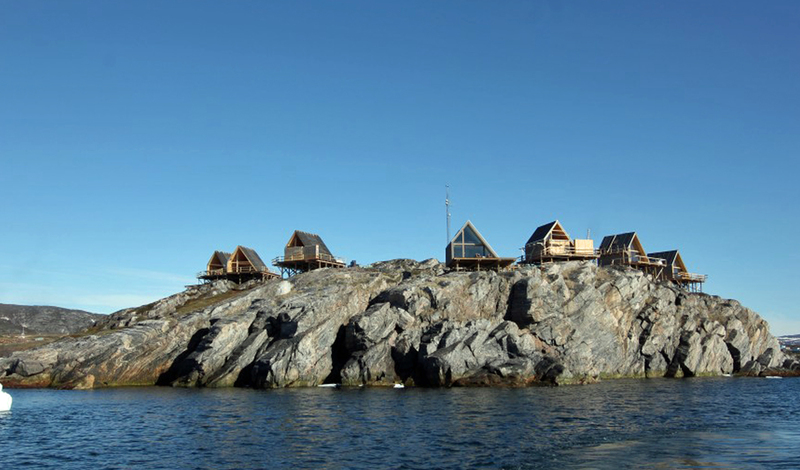 Comprised of just 15 luxury cabins perched cliff-side on a stunning Arctic Fjord, Ilimanaq Lodge embodies the most serene Greenlandic experience. Ilimanaq is a quaint and remote Nordic village with no car access; but that part is half the fun. For what better way is there to arrive to the lodge than by scenic boat transfer. The 30-minute cruise begins in Ilulissat and passes through the UNESCO Ilulissat Icefjord. The cruise ends at the lodge in Disko Bay, where you’ll be immersed in genuine Greenlandic nature and culture as you step ashore. All 15 of the cabins are designed to blend in with the natural surroundings. Chic and simple, the interior is full of Nordic touches that create the ultimate relaxing atmosphere. Each cabin is two floors and has a wall-sized window for optimum views of the bay and fjord beyond. A private terrace for whale watching and intimate dining a la deux is just the icing on the cake. Remarkably unspoiled, Ilimanaq Lodge and the surrounding Disko Bay are still very much a Black Tomato secret. But we just couldn’t help ourselves letting you in on it. There is no shortage of things to see and do here – sailing to epic glaciers, walking and hiking around the local village, whale watching, sampling traditional Greenlandic delicacies; and so much more. Our recommendation? Get here before the crowds do.